The Producer Offset was introduced in 2007 by the Australian Federal Government and is a taxation rebate measure to promote Australia’s screen media industry. By design it allows Producers to retain more significant levels of equity in their productions and gives them greater flexibility when raising funds. The Producer Offset enables producers of feature films to claim a tax rebate of up to 40 percent of Qualifying Australian Production Expenditure (QAPE). the use of goods that are located in Australia at the time they are used in the making of the film. Where the subject matter of a film reasonably requires a foreign location, expenditure in a foreign country on goods and services supplied by or for Australian residents during principal photography may be claimed as QAPE. any other activity undertaken to bring the film up to the state where it is ready to be distributed, broadcast or exhibited to the general public. 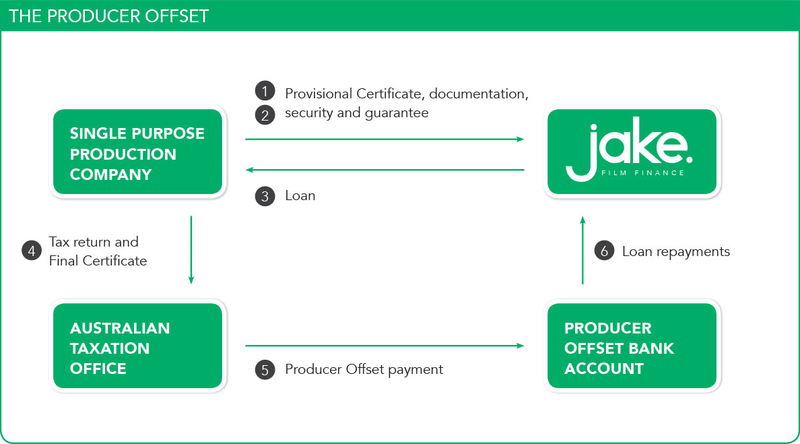 When the production is completed and has been delivered to market, the Producer is entitled to the Producer Offset. The Australian Taxation Office (ATO) rebates the Producer Offset by way of the production company’s tax return.